Sure­ly the whole concept of the bicycle is the won­derful enhancement of man’s ability to move about under his own power, not a means of usurping that power through the addition of outside sources of propulsion? Or so I thought until I had an experi­ence that turned my prejudice against e-bikes on its head. I was on holiday in Rome last year and wanted to take another look at the fabulous historical, cultural and archi­tectural sites the perplexing city has in abundance. Rome’s key architectural treasures are of course well spread out and often hidden within and under today’s dirty, clamourous and traffic-choked city. In addition, it was hot and polluted and Rome’s drivers are not known for their tolerance and kindness towards cyclists! We decided to book a guided bike tour and the operator suggested an e-bike option as a means of coping with hills, heat and horrendous traffic. Hav­ing enjoyed a sumptuous pasta lunch at a restaurant overlooking the Colos­seum, we thought, “Why not?” And so began my first e-bike experience. Electric bicycles, also known as booster bikes, are bicycles with an integrated electric motor which can be used for propulsion. There are a great variety of e-bikes available, from those that only have a small motor to assist the rider’s pedal-power (e.g. pedelecs) to somewhat more powerful e-bikes which are closer to moped-style func­tionality. All, however, retain the ability to be pedalled by the rider and are therefore not the same as electric motorcycles. E-bikes use rechargeable batteries, and the lighter varieties can travel up to 30 kilometres per hour, depending on the laws of the country in which they are sold. The more high-powered varieties can often do in excess of 45km per hour. 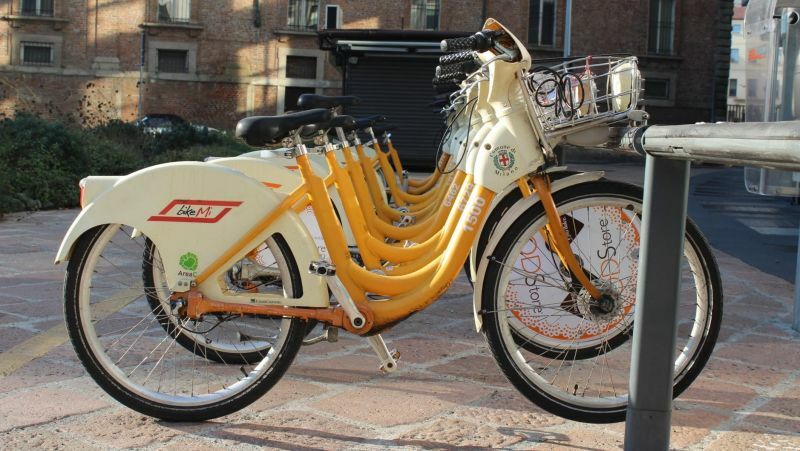 In Italy, many e-bikes (e.g. pedelecs) are legally classified as bicycles rather than mopeds or motorcycles, so they are not subject to the more stringent laws regarding their operation. 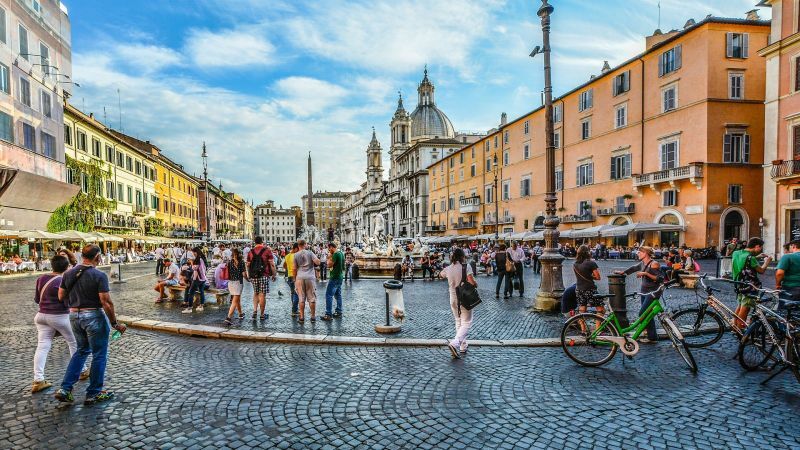 In Rome they can enter areas from which normal vehicular traffic is excluded, meaning you can get up close and personal with many of the fabulous an­cient treasures and hidden spots. We spent almost seven hours ex­ploring the beauty of the Eternal City and the e-bikes proved to be liberating, freeing us up to enjoy the visual boun­ty that surrounded us. In addition, they easily conquered Rome’s many hills, defying the heat, and were handy when needing acceleration to escape traffic snarls and the abundant crazy drivers around us. From the Colosseum to the top of Fagutal Hill, passing by the Impe­rial Forums and many more of Rome’s breathtaking ancient spots and hidden treasures, we cycled through small al­leys with amazing Renaissance and Baroque palaces and churches, then across squares with their monumental fountains, led by an intrepid and high­ly sardonic local guide. I had the revelation that e-bikes, in the right location and circumstances, most certainly have their place in the cycling Pantheon. In fact, it struck me that such guided e-bike trips around Phuket could be a major tourist draw for our island. 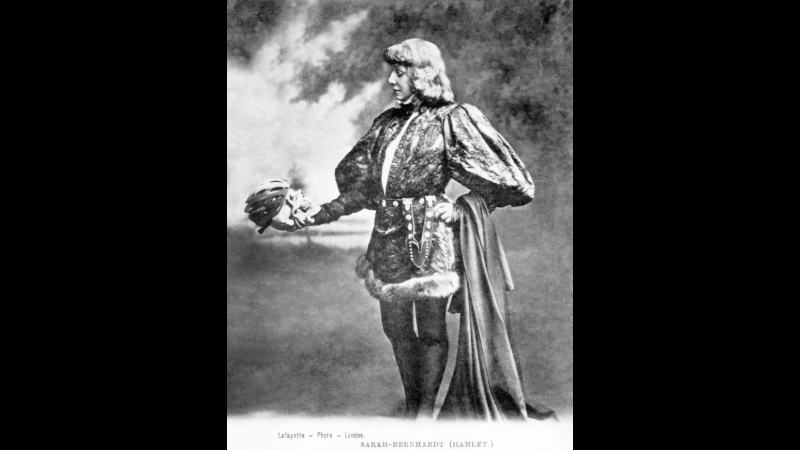 I’m sure that Hamlet would have loved them!